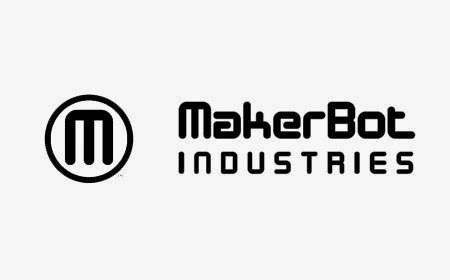 I don't often write about 3D printing news on this blog, but today I woke up to the story that Makerbot had cut 20% of their staff and closed all their retail shops and that's really quite sad to hear. The way Makerbot has done this is not good at all and has made me feel truly sorry for the workforce, you know the people who make a company - (Makerbot call them, just 'staff'). 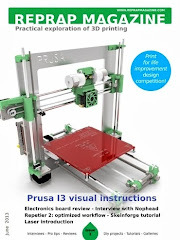 I'm sure we will hear much more on this along with some official non-caring and 'business like' statements issued by Stratasys or whatever remains of Makerbot. The quotes from Makerbot staff and reports of this incident tell you so much about the atmosphere and company culture at Makerbot - “It’s about 20 percent of staff. Everyone suspected that something would be coming with the new CEO, and that there would be restructuring coming.” Not being open and honest with staff and leaving them with the feeling that something was coming is an awful thing. It's going to be very hard times for the people who remain too. I feel sad for their workforce, people who have endured a lot of directional changes and different 'leaders' who don't understand what they already lost a few years back. I'm quite disappointed with the new Makerbot CEO, there are ways to do things and ways you want to be seen in the industry and the company-wide corporate structure. I really think that giving a Keynote speech at a 3D printing conference while all this was going down says it all. - Jonathan Jaglom - Instead of marching them out of the building, you should have been with all your 'staff' and spoken to them directly about all this. Stay strong Makerbot workers and I hope things get better. Makerbot is lost, you are not.